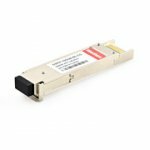 Fiber Optic Transceiver Module is a self-contained component that can both transmit and receive. Usually, it is inserted in devices such as routers or network interface cards which provide one or more transceiver module slot (e.g GBIC, SFP, XFP). 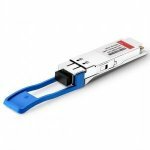 Fiber-Mart provide a full range of optical transceivers, such as SFP+ (SFP Plus) transceiver, X2 transceiver, XENPAK transceiver, XFP transceiver, SFP (Mini GBIC) transceiver, GBIC transceiver, CWDM/DWDM transceiver, 40G QSFP+ & CFP, 3G-SDI video SFP, WDM Bi-Directional transceiver and PON transceiver. All our fiber transceivers are 100% compatible with major brands like Cisco, HP, Juniper, Nortel, Force10, D-link, 3Com. They are backed by a lifetime warranty, and you can buy with confidence. We also can customize optical transceivers to fit your specific requirements.